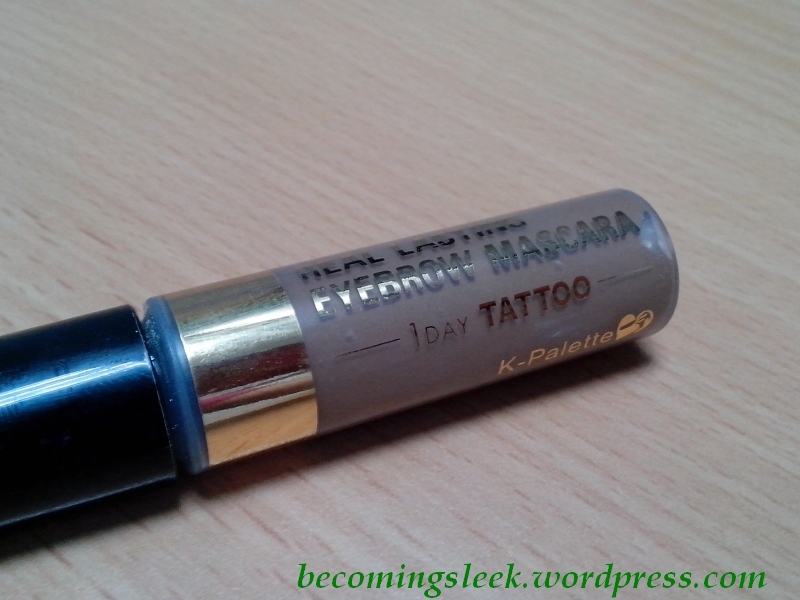 One of the recent things I’ve been testing is K-Palette Real Lasting Eyebrow Mascara in Natural Brown. 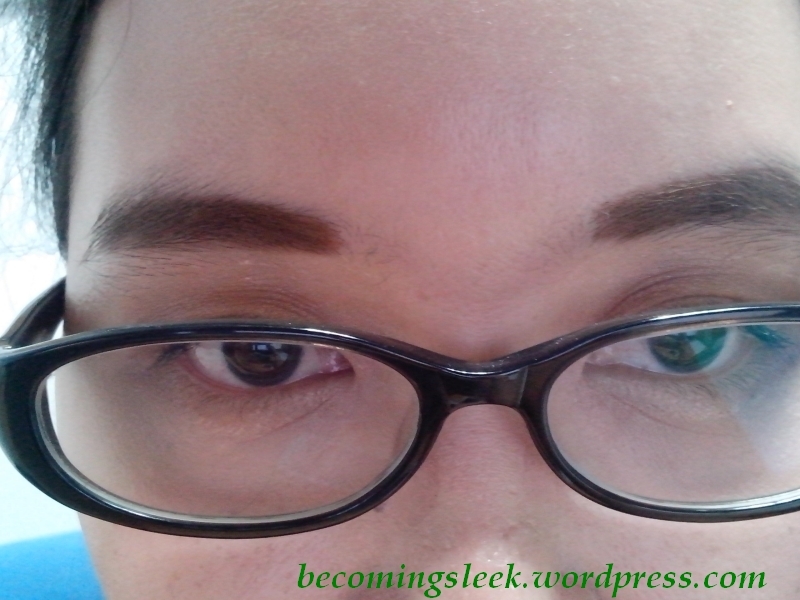 I got this in reaction to Maybelline Fashion Brow Brow Mascara – I thought its brush was too big for my brows. I got interested in this product by reading fellow bloggers’ reviews, and the reviews were mainly positive. This costs Php595 and is available at Beauty Bar. 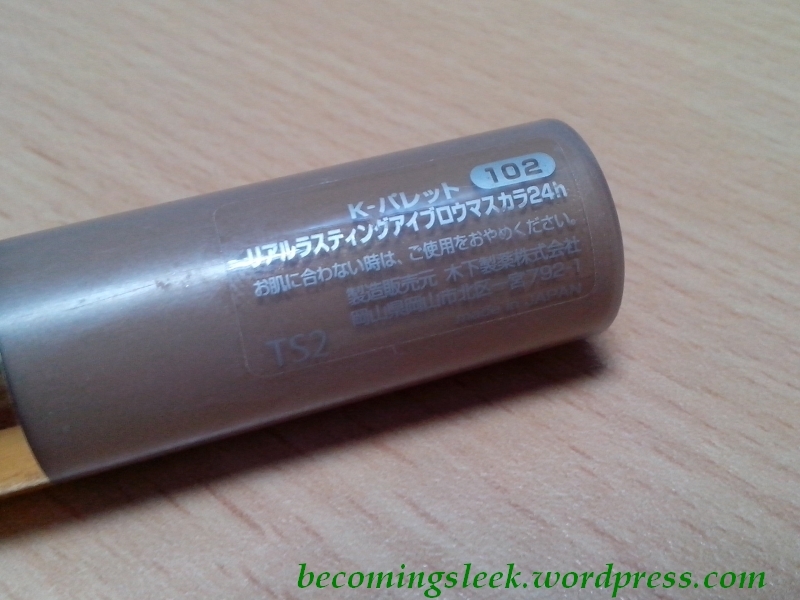 The tube is short and squat and clear, showing the actual shade of the product. The cap is a nondescript black that holds the wand. The name of the product is clearly printed in gold. The shade number is printed on the opposite side. 102 here refers to the darker of the two available shades: Natural Brown. Here’s a close up of the wand. This is the main reason I got this. 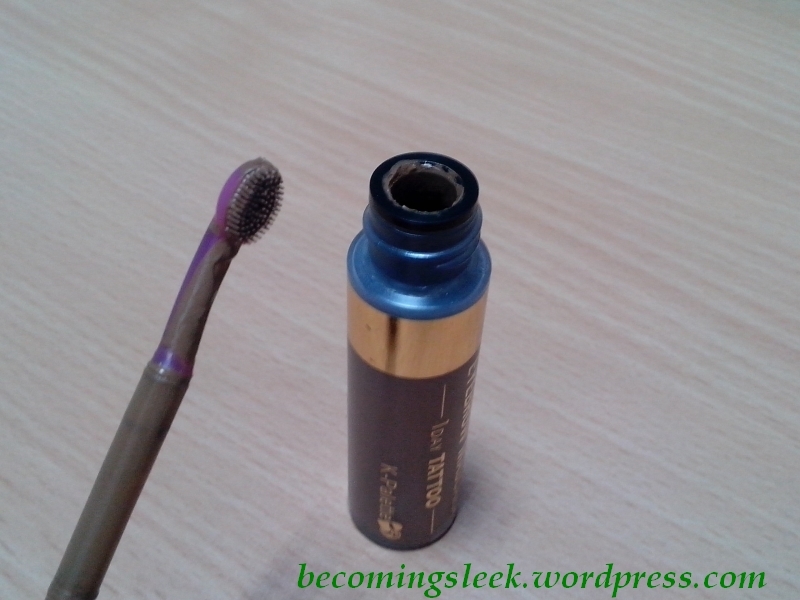 It has a very small oval brush. Here’s a profile shot of the wand tip. You can see that the bristles are pretty short. 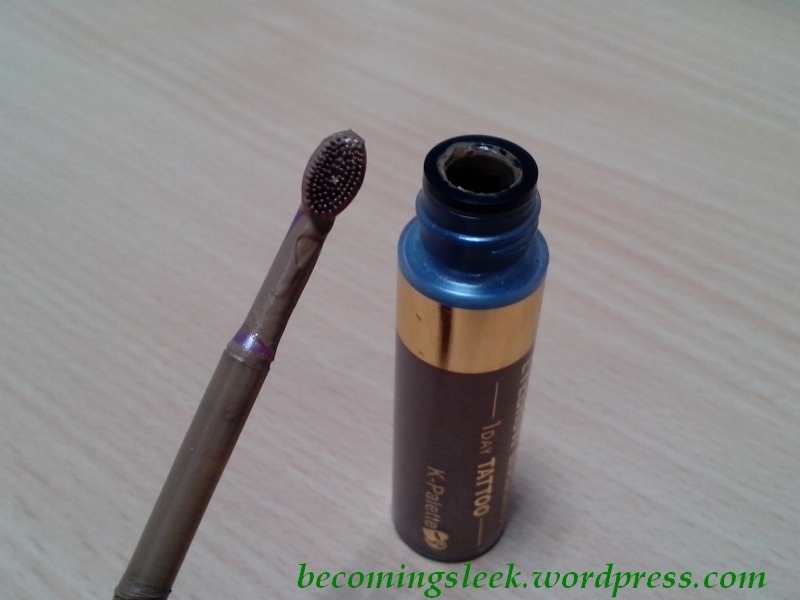 They are also quite stiff, and is perfect to apply the mascara onto the brows. 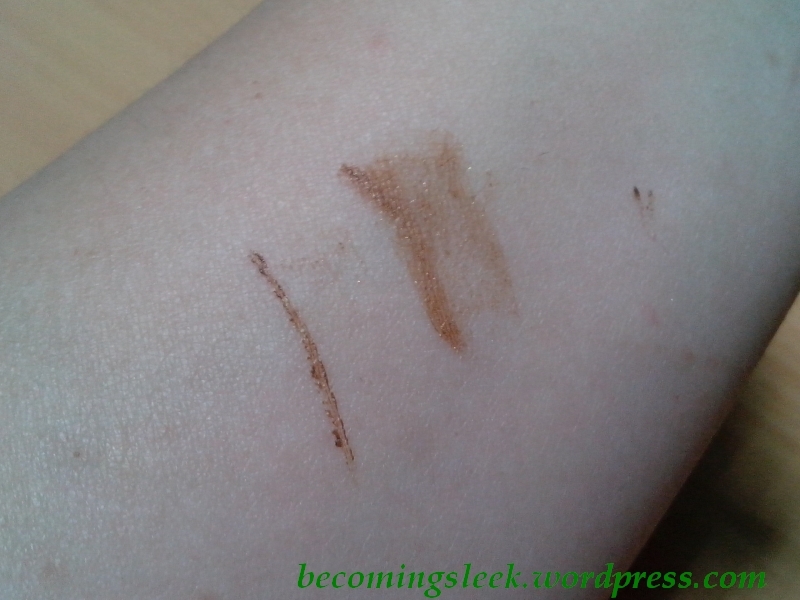 Here’s an arm swatch. The left is a single swipe while the right is kind of smudged, the kind I imagine it would look like on the brows. And here it is on my brows. As you can see it seems to keep my brow hairs firmly in place and look really well groomed. 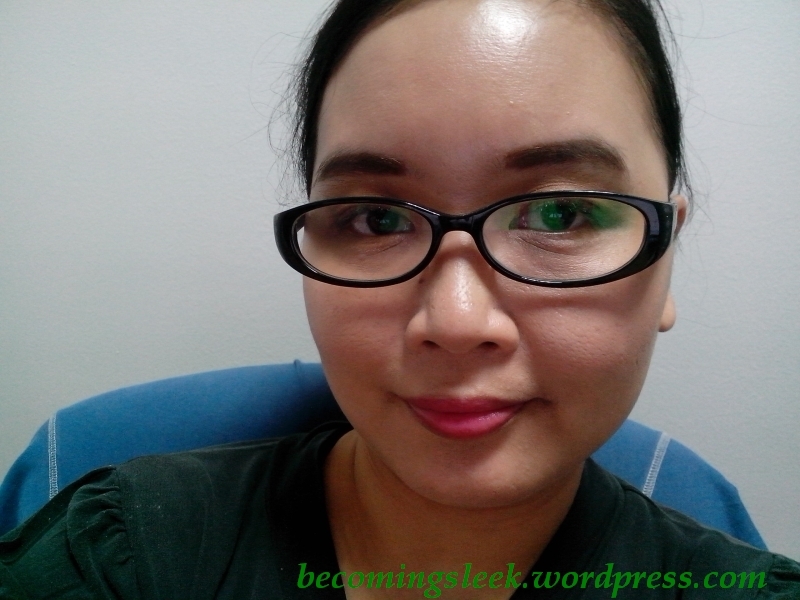 I am wearing the K-Palette Brow Mascara over In2It Eyebrow Powder. Upon closer inspection, Natural Brown actually still is quite too light for me. 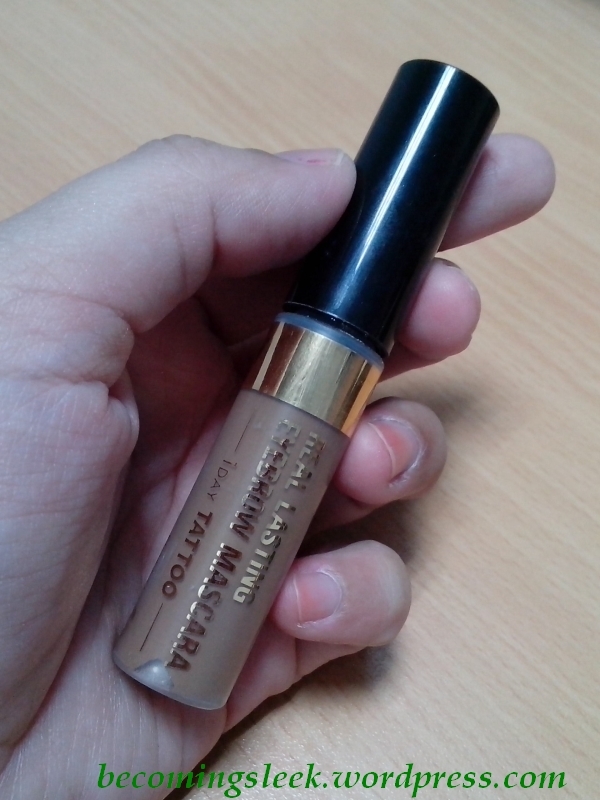 In conclusion: I really like this product, even if it’s a bit too light on me. I am hoping that K-Palette releases a darker shade soon! K-Palette is cruelty-free, and is available at Beauty Bar. Haven’t tried Anastasia but I’ve heard great things about it! But yeah onga no, why didn’t I think of clear mascara? Anyway I can work with this Kpalette one naman, I just need a dark brow powder underneath. Too light even for you? Wow yun talaga ang issue, I think this is really meant for girls who dye their hair. This is their darkest shade unfortunately. I’m hoping they release more shades that leans on the dark. I really like the brush pa naman! I hope they do release a darker shade. I agree with @Rae sana may taupey grey. Aha onga! Small hair brush indeed! But yeah it’s a little sad that it comes in very limited shades. The other shade is even lighter!